Seventy years ago this fall, Brandeis officially enrolled its inaugural class of just over 100 students. They came to a campus built on 90 acres of gentle hills and rocky outcroppings, once the site of Middlesex University, for courses led by the 13 teachers Brandeis hired that first semester. The library, located in a former stable, held 10,000 books and periodicals collected by the Brandeis University National Women’s Committee (now the Brandeis National Committee), which had formed only months before the Class of 1952 arrived. The Castle, the most prominent building on campus, was, like most of the other structures, in disrepair. The early campus’ makeshift nature gives you an inkling of just how bold our founders’ vision was for Brandeis. At the start of this year’s fall semester — which marks the opening of the greenest building on campus, the geothermal-powered Skyline Residence Hall — it’s easy to overlook Brandeis’ audacious beginnings. For instance, how, against long odds, we achieved academic and scholarly recognition faster than any other university ever has. Phi Beta Kappa approved a Brandeis chapter in 1961, only 13 years after the university’s founding. 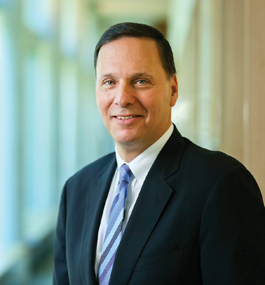 The Association of American Universities — an organization of the leading 62 research universities in North America — invited Brandeis to join its ranks in 1985. Other examples of our growth and impact over the decades abound. Yet we are on the cusp of a new chapter in the university’s life. 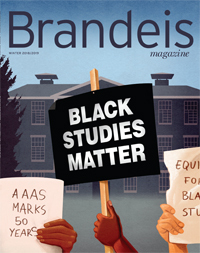 Brandeis faces many of the same problems challenging all of higher education, and others that are uniquely ours, a consequence of our singular history and daring aspirations. As we celebrate our 70th and plan our future, our students today, like their predecessors, make meaningful connections across academic disciplines, communities, ideas, values, and perspectives. In fact, I believe our newest graduates, the Class of 2018, are better informed and more committed to learning about society’s challenges than any other generation of students since the 1960s. They have invested their time and studies into better understanding the complexities of such issues as climate change, voting rights, gun control, and fairness for immigrants and refugees. This year’s Commencement keynoter, Freeman A. Hrabowski III, president of the University of Maryland, Baltimore County, spoke to the connection between learning and improving society when, echoing Justice Louis Brandeis, he reminded graduates that “the most important office in our country is that of private citizen.” In pursuits as diverse as researching high-energy physics and expanding access to public health, our graduates connect knowledge and civic engagement. In June, more than 1,200 alumni and friends returned to campus for the inaugural Alumni Weekend. Brandeisians from all corners, classes, and interests bonded at various events. Unlike a traditional reunion, which is limited by class year, Alumni Weekend connects all Brandeisians around community, learning, and shared interests. By all measures, it was a great success. Of course, intellectual connectivity is the heart and soul of Brandeis. The Nobel Prize awarded to biologists Michael Rosbash and Jeff Hall last October is the highest expression of this bond. Rosbash, the Peter Gruber Endowed Chair in Neuroscience, has said that his and Hall’s pioneering collaboration could have taken place only at Brandeis, where faculty have, counter to the norm in the academy, worked across disciplinary specializations to the benefit of their research and students’ learning. Our 70th anniversary gives us an opportunity to celebrate our achievements, strengthen our community, and chart our future. I hope you will join me in all these endeavors.